Would be great with more range. Several of the Rebelle line’s blasters are modified versions of blasters from other lines. 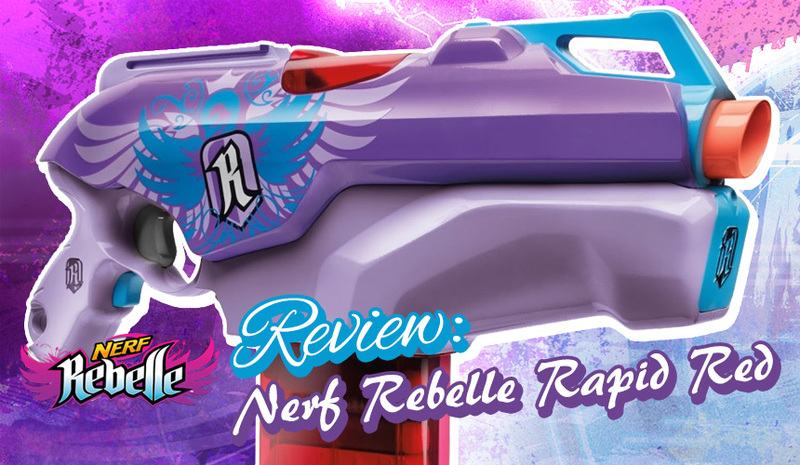 The Rebelle Rapid Red owes much to the Elite Stryfe, naturally with Rebelle style and flair. Incidentally, the Stryfe has had a significant number of variants made. 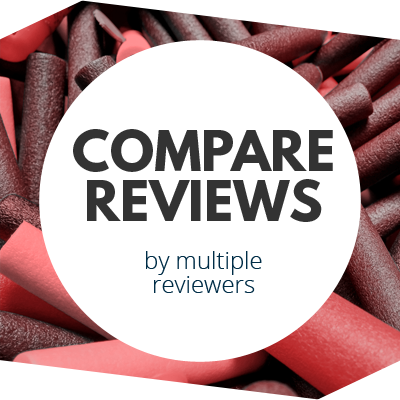 How does the Rapid Red stack up against the plethora of N-Strike/Elite flywheeler blasters? The full Rapid Red kit. 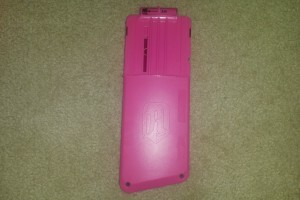 Right side of the RR. 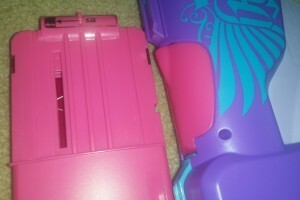 Left side of the RR. The Rapid Red is pretty much what you’d get from taking the Stryfe and smoothening all its lines. The result is a reasonably sleek yet also slightly bulky large pistol. 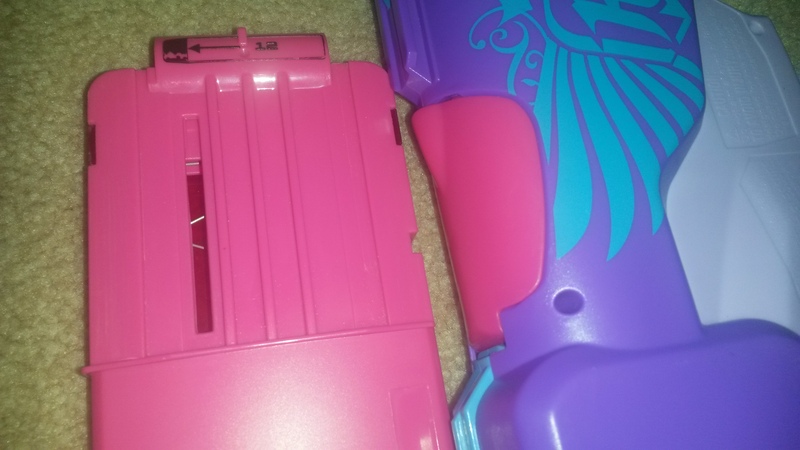 I really like the Rebelle designs that are printed on the sides, they’re intricate and look really cool. Note that unlike the Stryfe, the Rapid Red is relatively symmetrical. 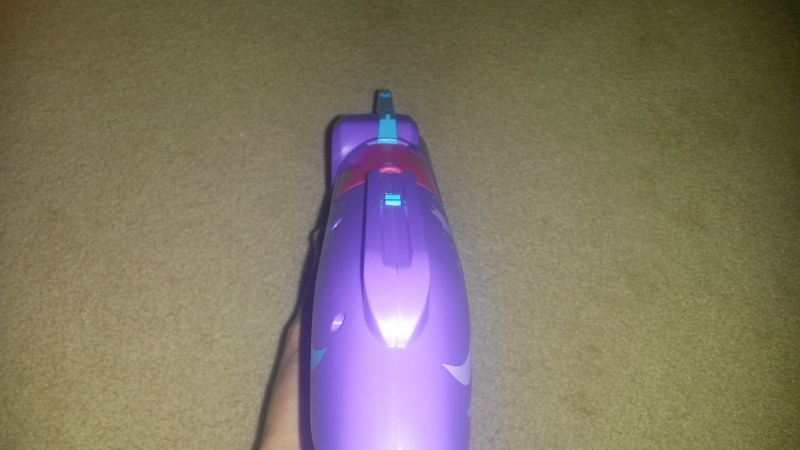 Also note the lack of barrel accepting muzzle and stock attachment point. 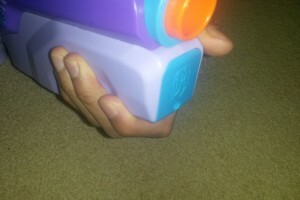 Hand on the RR handle. 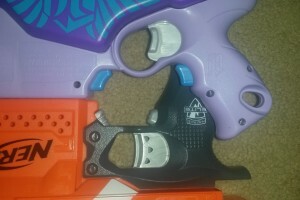 Handles of the RR (top) and Stryfe (bottom). 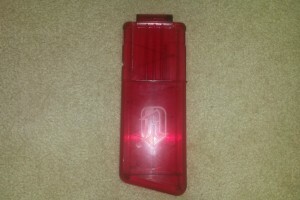 The Rapid Red, as a fairly standard semi-auto flywheeler, is powered by 4 AA batteries, which it houses in its fore-end. This gives the fore-end a decently grippable shape, certainly far better than the Stryfe’s fore-end. 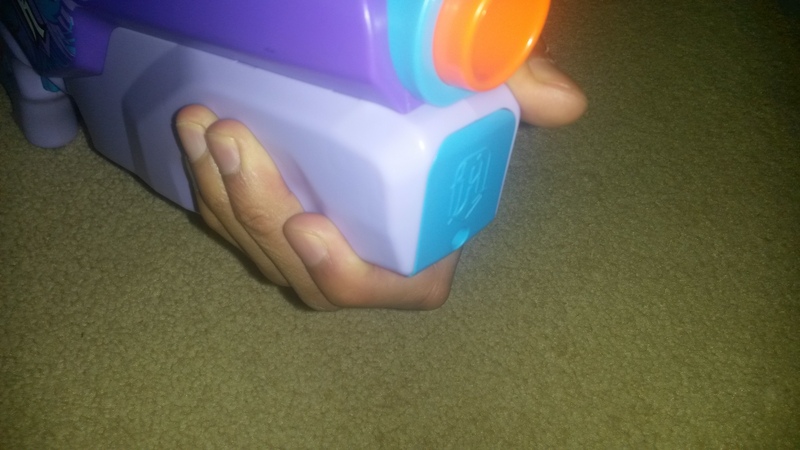 The handle of the RR is very small, as is my hand barely fully fits on it. 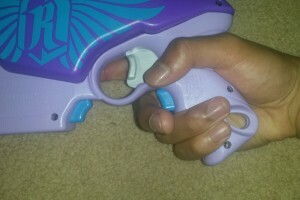 The main trigger is nice and smooth, and the acceleration trigger is also well shaped. 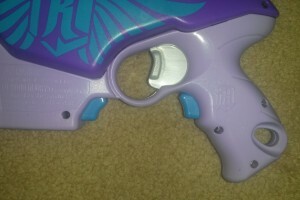 However, the bulge of the curved trigger guard can get in the way of trying to hit the clip release. For the Stryfe style layout, I like to reach forward with my main middle finger, and grab the clip (mag) in my other hand. 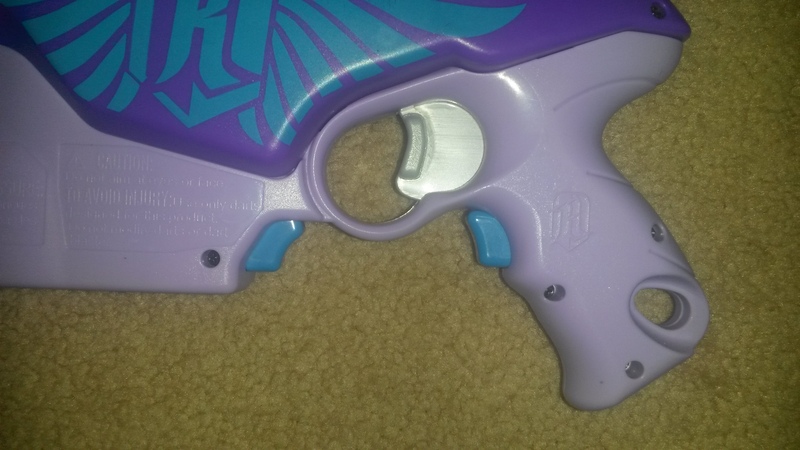 This is slightly less convenient with the RR thanks to the trigger guard bulge, but it’s not a significant issue. Looking down the jam door. The Rapid Red thankfully does not have the poorly designed dart sensor that the Stryfe has. As such the jam door reveals a larger aperture, and the RR is perfectly reliable and usable (and does not lock up randomly). I have not experienced any jams due to any reason besides very poor ammo. 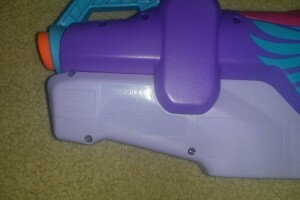 Right side of the Stryfe (top) and RR (bot). 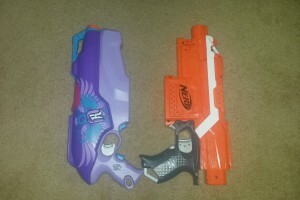 Left side of the Stryfe (top) and RR (bot). Top of the Stryfe (right) and RR (left). 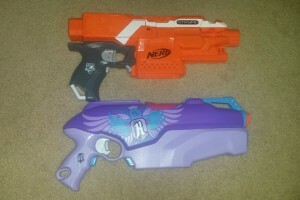 Lining up the magwells of the Stryfe (right) and RR (left). 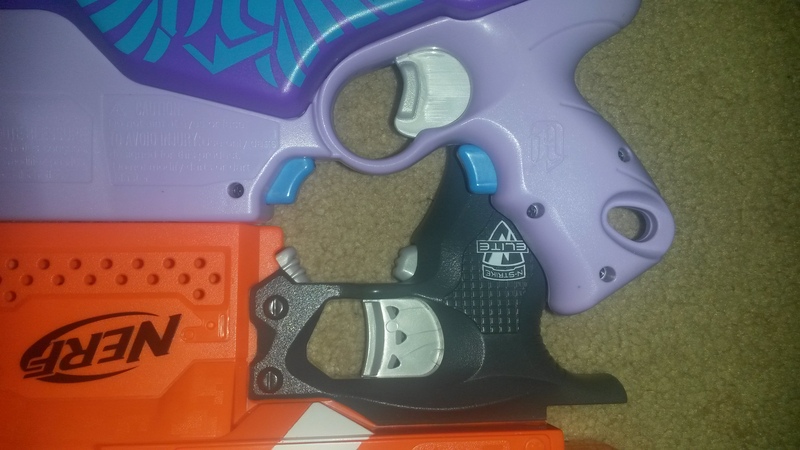 Here’s the Rapid Red next to the Stryfe. The Rapid Red is a little bulkier, smoother and more symmetrical, while the Stryfe is sharper and sleeker. 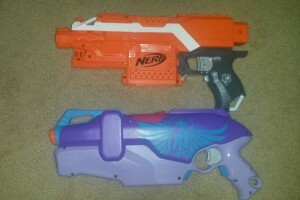 Note also that the motors are mounted on opposite sides: the RR has its on the left, while the Stryfe has its on the right. 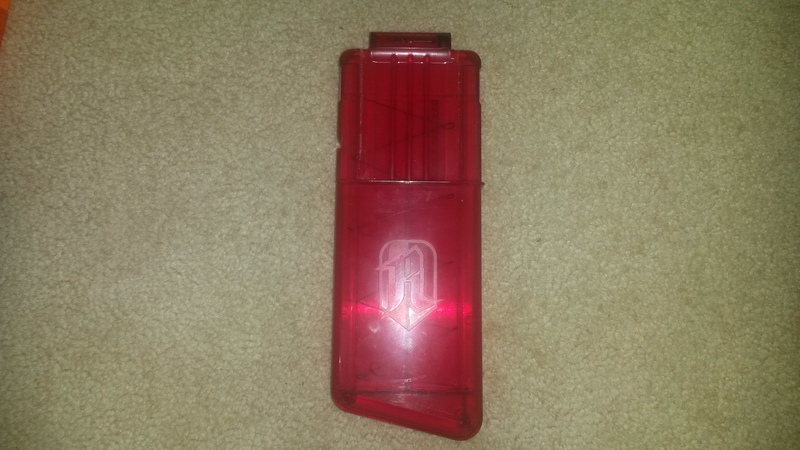 Left (opaque) side of the clip (mag). 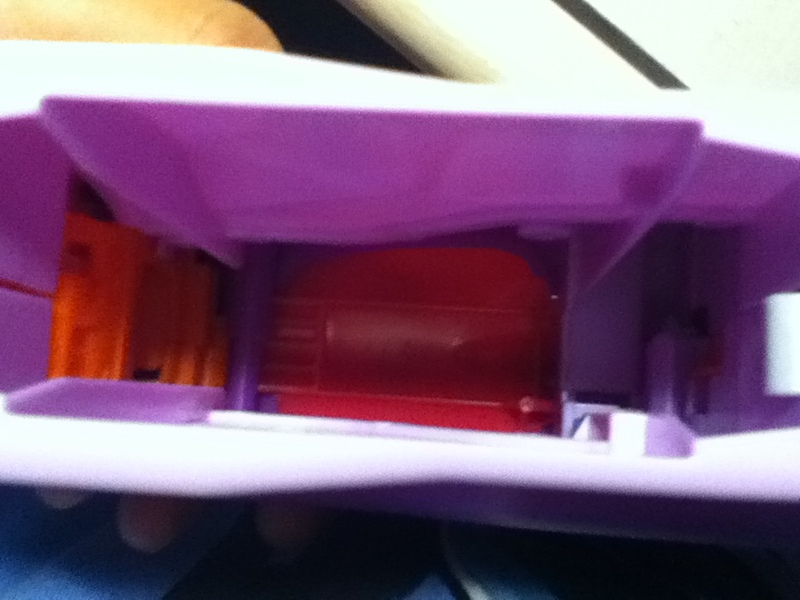 Right (clear) side of the clip (mag). 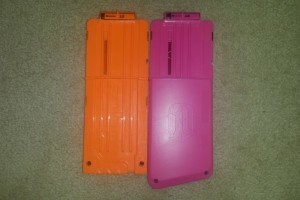 Left side of the 12 clips (mags). 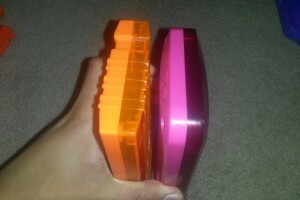 Right side of the 12 clips (mags). 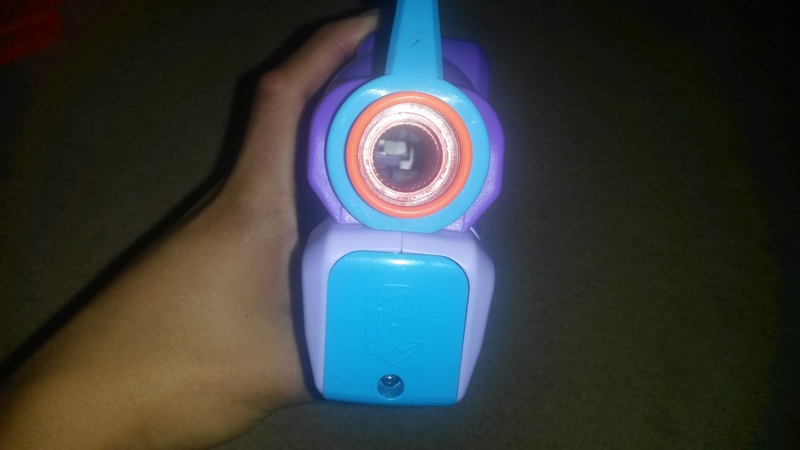 Looking at the bottom of the 12 clips (mags). 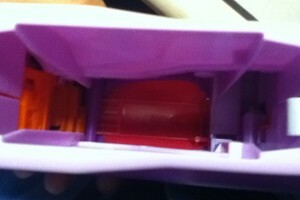 Opaque side of the 12 clip (mag) against the RR jam door. 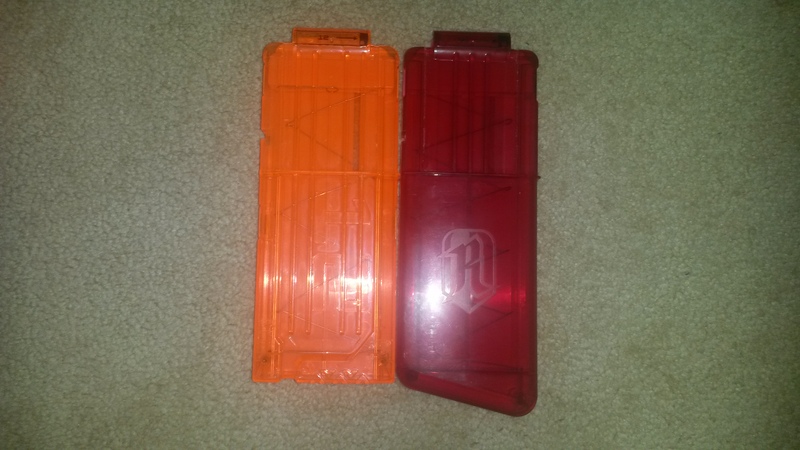 The Rapid Red’s 12 dart clip (mag) is worth a quick mention. 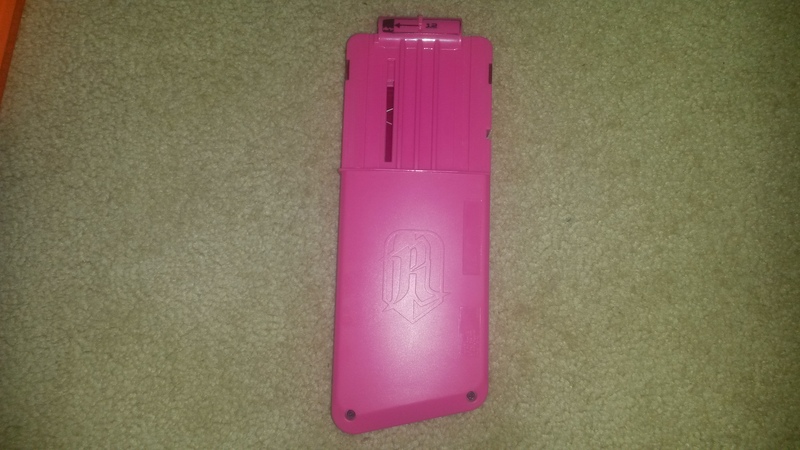 It’s a unique clip (mag), as it is the only Rebelle clip (mag), and also has a unique design. 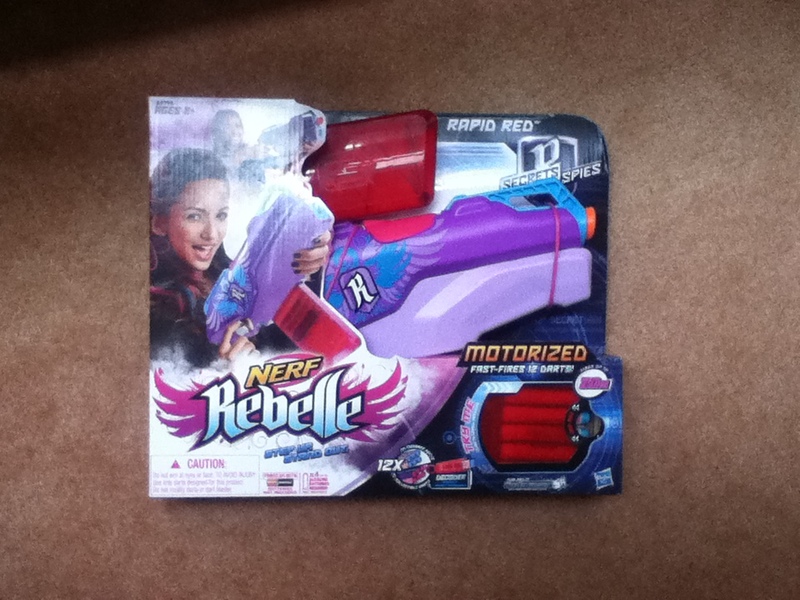 As made very clear when next to an Elite 12 clip (mag), the Rebelle clip has an angled bottom and a smoothed out shell. 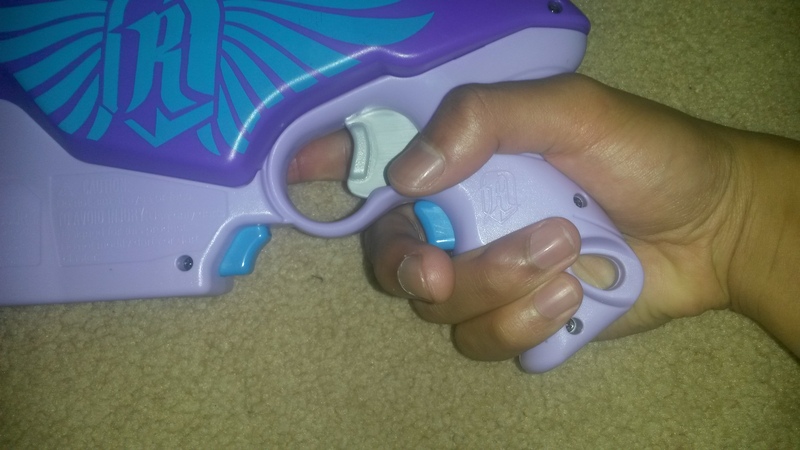 It works just as well as a regular 12 clip (mag). 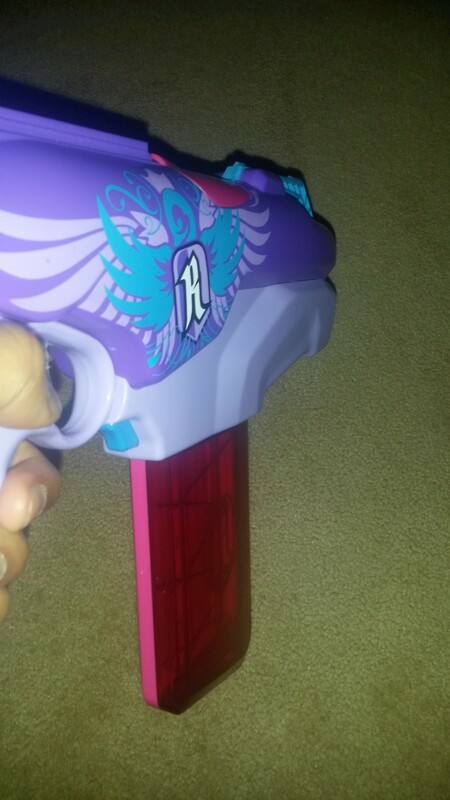 FPS shot of the RR. Range wise the grey trigger Rapid Red is quite poor, achieving about 9 metre ranges parallel to ground. 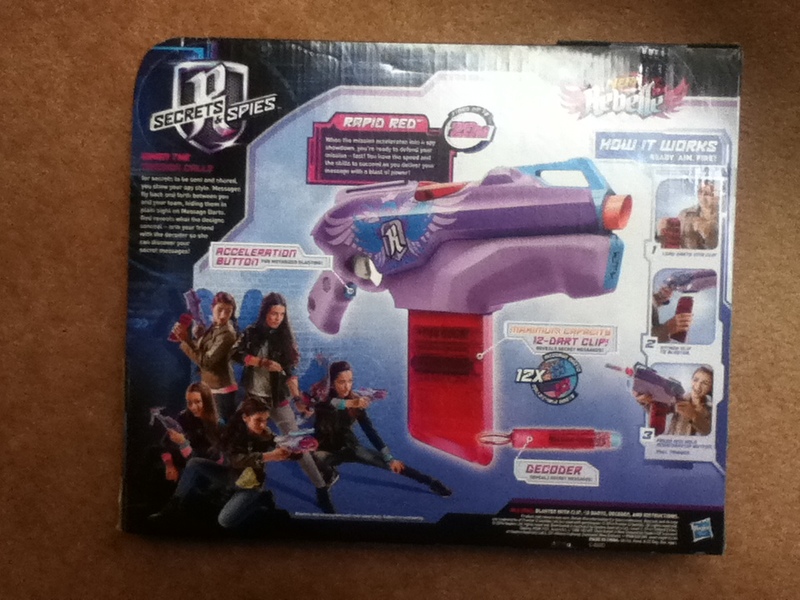 Very disappointing when the Elite-era blasters are meant to be a step up from the N-Strike era. Accuracy is decent, though this can be attributed more to lack of power than anything else. Elite darts never are and never will be accurate. Rate of fire is impressive, provided the motors can keep up. I can achieve 5 darts per second relatively easily with all of the semi-auto flywheelers. 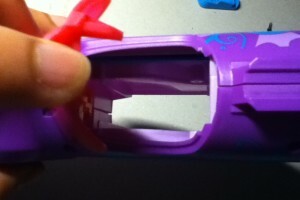 A higher ROF is possible with faster accelerating motors and a good trigger finger. 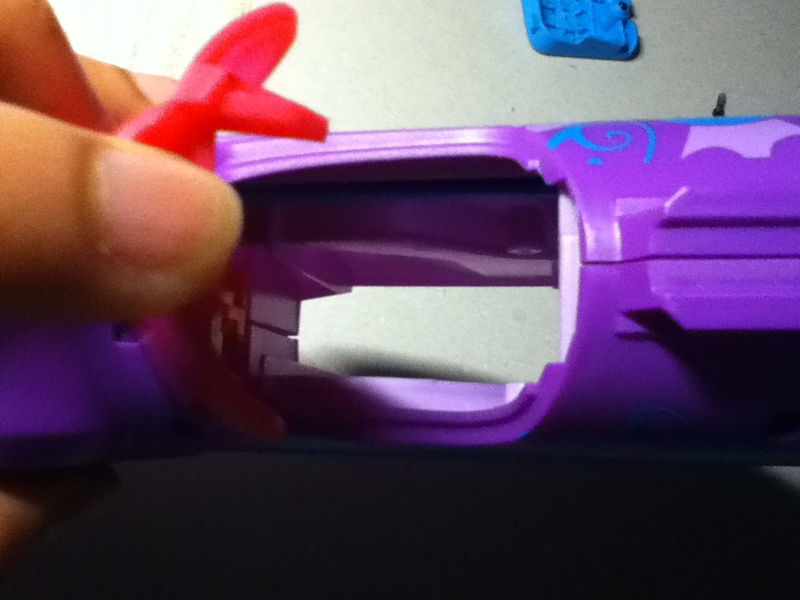 Being a flywheeler though, rapid fire does significantly decelerate the flywheels. It is possible to completely stall the flywheels if you fire fast enough. 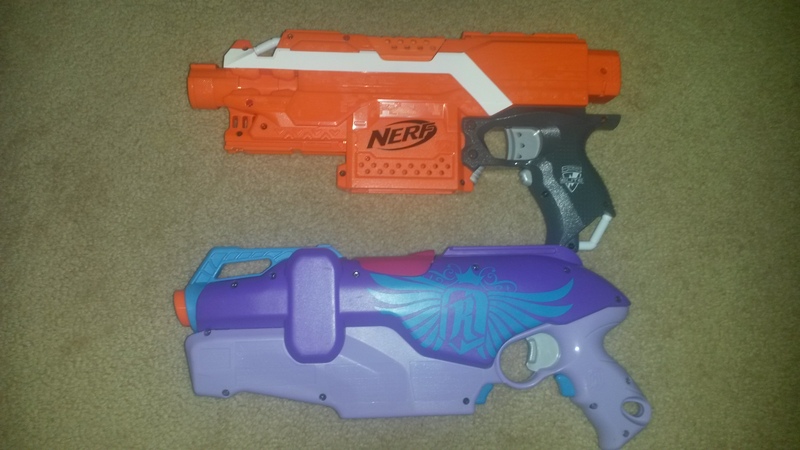 The Rapid Red performs much the same role as the other semi-auto flywheelers like the Stryfe and Rayven. 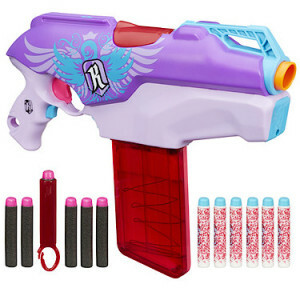 It’s a decent all-round blaster (assuming you get around the poor grey trigger range) with an emphasis on rate of fire. You won’t be hitting targets from afar like you could with a Retaliator, but in close quarters the ease of spewing out darts makes you quite dangerous. 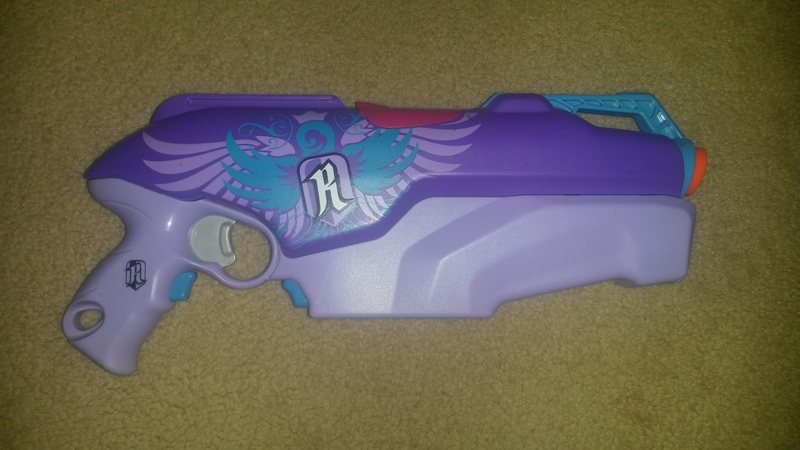 The small size of the RR makes it very easy to manevuer, especially useful in close quarters. The main difference between the Rapid Red and Stryfe is that the RR is stuck as a pistol/SMG style blaster, while the Stryfe can be dressed up as just about anything. The Rapid Red was available at BigW for 39AUD, with one particular sale taking it down to 29AUD. I haven’t seen any in my local BigWs for months, I only ever saw them once, during said sale. 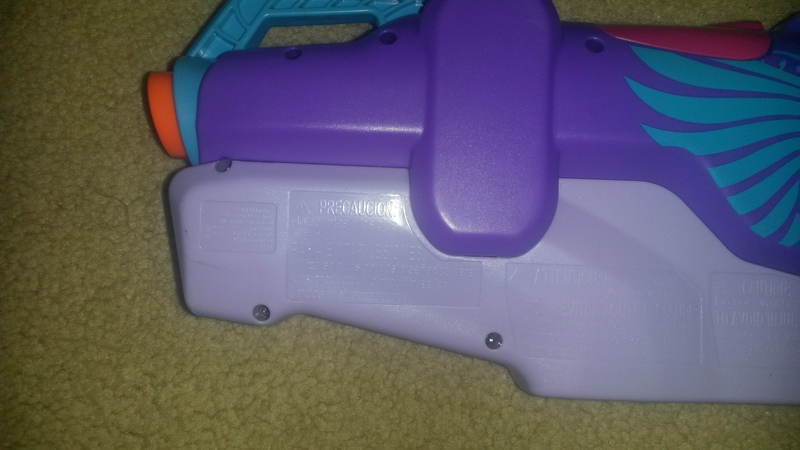 39AUD is a bit much for what is effectively a Stryfe with a slightly bigger clip (mag), since the Stryfe was available for 25AUD, down to 20AUD in sales. 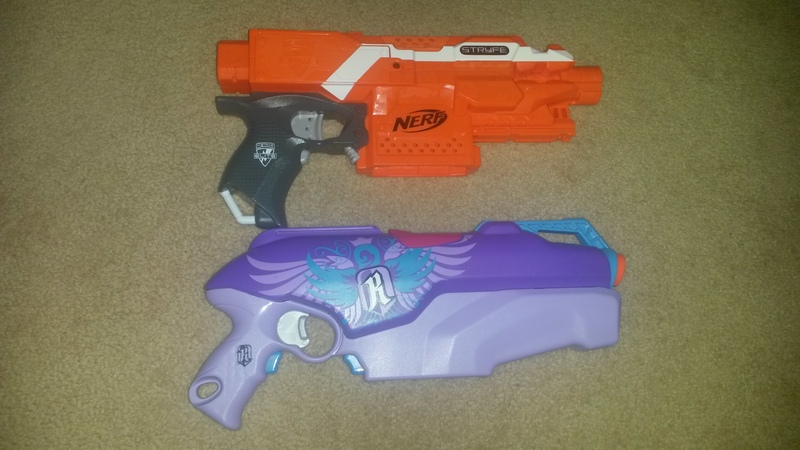 39AUD could get you a Retaliator AND a Strongarm. I have heard of some clearance sales in the US taking them down to 10USD and less. 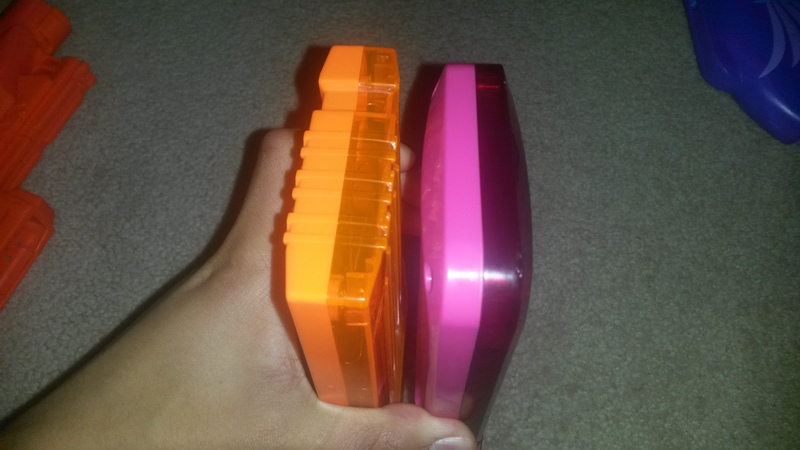 For <15USD, the Rapid Red is an absolute steal and is certainly worth buying multiple of. For its price in Australia, the RR is worth consideration only if you are particularly interested in it (as I was). Its price prevents it from being highly recommended from me. 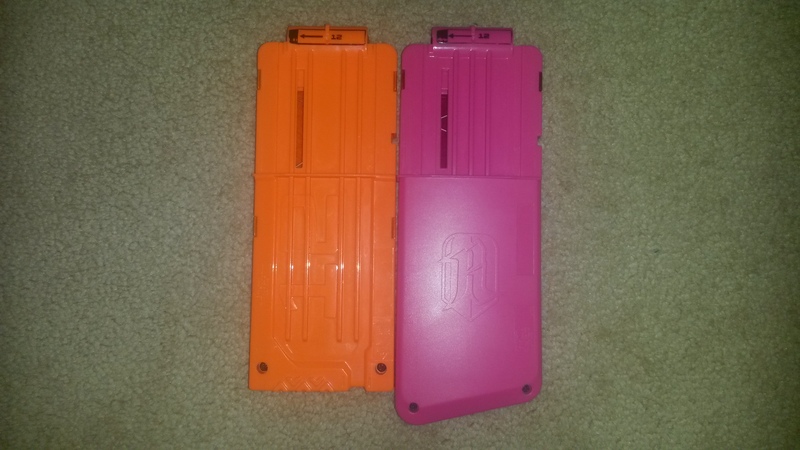 Like the Stryfe, the Rapid Red has pretty good mod capability, though the RR is a little more limited in that it cannot normally take stocks or barrel extensions. 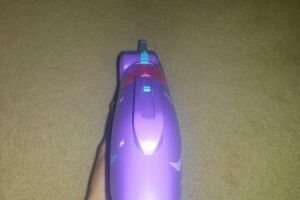 A rewire, replacement switch and 3 IMR 14500s or a 3S LiPo will yield around 100+ feet per second muzzle velocities (from a pink trigger model). This puts it already into usable “superstock” territory, though rev-up is not especially fast (which also may cause range loss in rapid fire) and the motors may burn out. A further motor replacement and LiPo implementation (if not done already) can yield 110+ feet per second muzzle velocities, on top of near instant spool-up. An overhauled Rapid Red is relatively easy to construct. 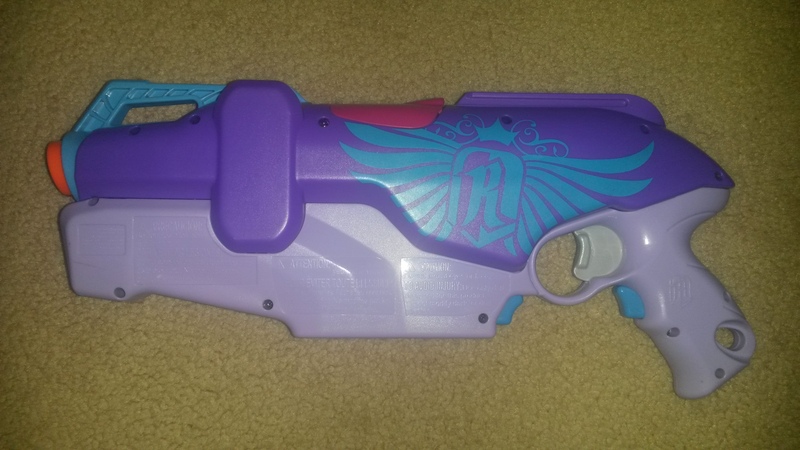 It’s a little more involved and requires more skill and tools than building a pump action Retal, but can be done for cheaper (excluding potential LiPo charger cost). 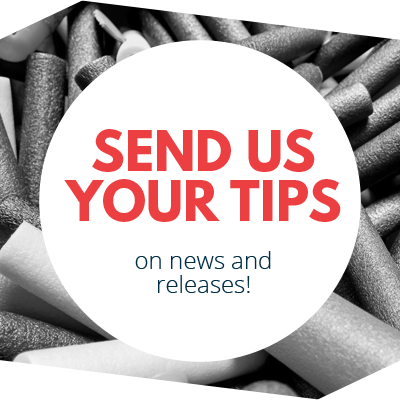 All the skills needed to do an overhauled Rapid Red are relatively basic – some simple electrical skills and basic shell modification skills – and are highly applicable elsewhere, not just in Nerf. Likewise, no special tools are needed, just the basics and in particular a soldering iron. A rotary tool can be handy to streamline the shell alterations, but it is possible to make do without one (though a rotary tool is universally useful, every modder should own one). An overhauled Rapid Red fills much the same role in “superstock” games as a stock Stryfe/Stryfeoid does in the context of stock blasters – it’s an effective all rounder with an emphasis on ROF. Though it has decent range, long range accuracy is generally lacking. 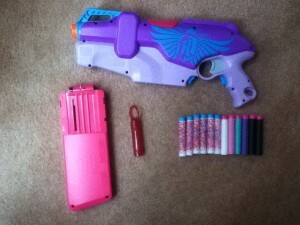 It does however make up for this by having quite good rapid fire, which in a lot of situations will be more than enough. With aftermarket motors that spin up almost instantly on a LiPo, rapid fire also does not affect the ranges the RR achieves. 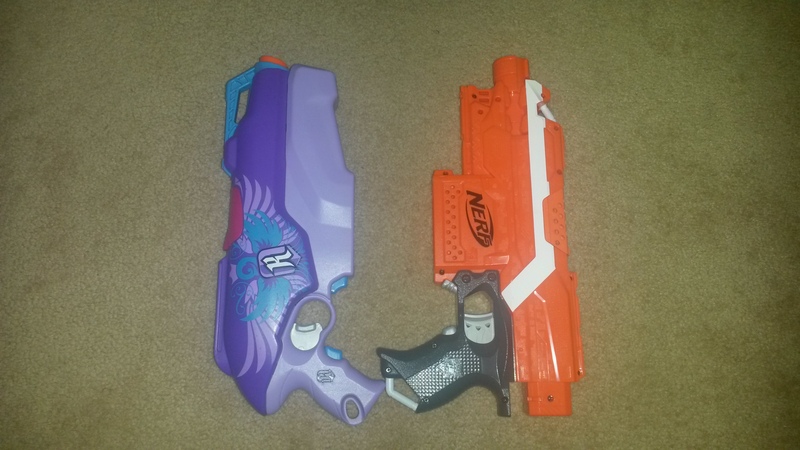 Though the Rapid Red itself is not a particularly common blaster here in Australia, at Melbourne HvZ I see a number of Stryfes (and Stryfe variants, which all perform pretty much the same as the Rapid Red and Stryfe) in use, almost as many as pump action Retaliators. 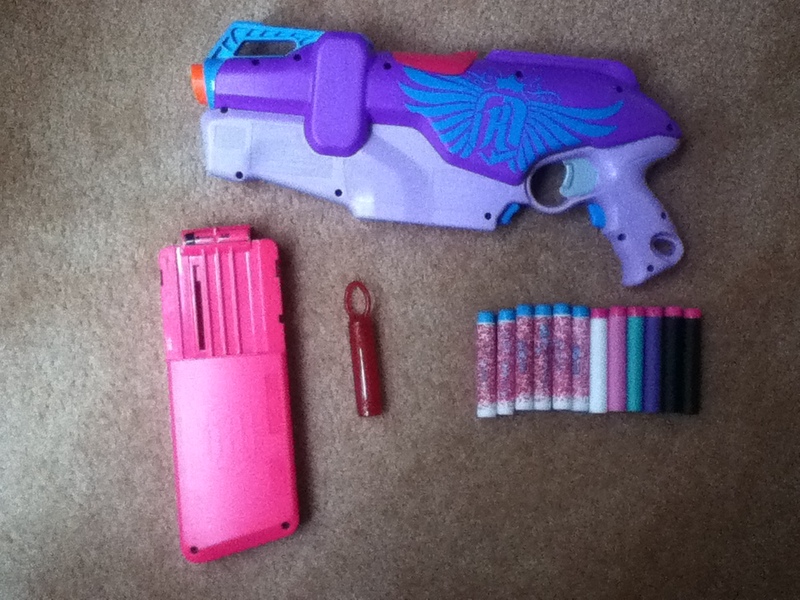 They’re very easy to use, relatively easy to build and very effective, much like Retaliators. 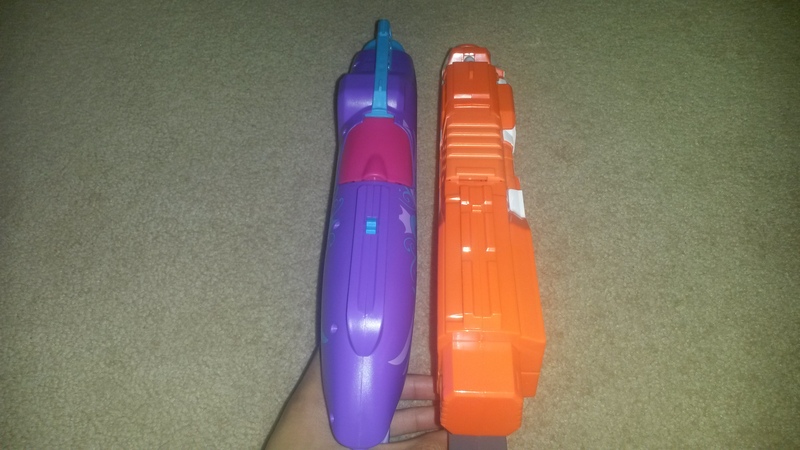 This entry was posted in Dart Blasters, Reviews and tagged 20m, australia, grey, nerf, rapid, rebelle, red, review, trigger on December 14, 2015 by Outback Nerf. Blaster Hub Supports Post/Page/Forum Embedding! 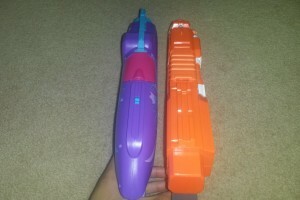 Please don’t bring these LEGO blasters to a Nerf fight!